The Fourth Squad reports the details of an arrest for Assault that occurred on Tuesday, April 23, 2014 at 7:15 PM in Valley Stream. Valley Stream, NY - April 23rd, 2014 - The Fourth Squad reports the details of an arrest for Assault that occurred on Tuesday, April 23, 2014 at 7:15 PM in Valley Stream. According to detectives, 911 received a call for a domestic incident at a Fairmount Street residence. Fourth Precinct officers arrived at the scene; entered the home and were met by defendant Jeffrey Chatelain, 35, of 12 Fairmount Street, who was holding a kitchen knife in each hand and threatening to stab the officers. When officers tried to place the defendant under arrest, Chatelain began flailing his arms, spitting and refusing to be handcuffed. An officer suffered a broken hand while two others were exposed to saliva and blood. After a struggle the defendant was placed under arrest. Subsequent to arrest, officers recovered in plain view a clear plastic bag containing a white powdery substance believed to cocaine and several Xanax pills. The officers were transported to a local hospital and treated for their injuries. Jeffrey Chatelain is being charged with Assault 2nd Degree, 3 counts of Menacing a Police Officer, 2 counts of Criminal Possession of a Control Substance 3rd Degree, Menacing 3rd Degree and Resisting Arrest. He will be arraigned on April 23, 2014 at First District Court, Hempstead. 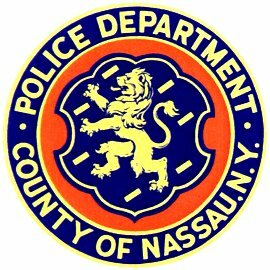 Subject: LongIsland.com - Your Name sent you Article details of "Valley Stream Man Arrested for Threatening Police Officers"